Canada Day ecards from RubberChickenCards.com: O Canada. We praise you if we may. So well beloved on this O Canada Day! What is it about Canada? Why does the world love it so? Well yes, it's environs and natural beauty are gasp-able, beyond compare. Its people have THREE distinct accents. Canadian French, Canadian English, and Canadian Canadian which happens to include a number of, you'll pardon the expression, pregnant, pauses that sound a lot like "aay?" Have you noticed how many of us non-Canadians wish we were? Think of the number of conversations you've heard that end with, "in which case I'm moving to Canada!" As if it is the safe harbor for all road-weary american hobbits. What's that about!? How can there be soo much to admire? Just why are we unable to muster their joie de speak? And we secretly envy their use of "oot" and "aboot". And how about the fact that SO many Canadians leave Canada in order to become wealthy Californians? Michael J. Fox. Bryan Williams, Alex Trebec. How can we not welcome them?!? Possibly because they were shivering? And more to the point: why are't we more suspicious of these people!!? After all, they NEVER lock their doors! Sure they have guns but Canadians only use them to shoot geese, elk and mosquitoes (so they're obviously NOT from the U.S.). We might be two countries separated by a common language, yet, when it comes to Canada's special day, many of us long to reach out and be part of this wonderful country's celebration. How can we be more Canadian? Why with Rubber Chicken Canada E Cards. Many folk have friends, acquaintances or are fans of those who hail from the northern country. Who hasn't chuckled with Martin Short or crooned with K.D. Lang? To not show your appreciation of such a fine people and their country on a day like Canada Day is like forgetting your boss's or mother's birthday! If you're worried whether you have the authority and or wherewithal to distribute Canada Day Ecards to your friends, fear not. Yukon (again, in my head, this sounded HILARIOUS!). 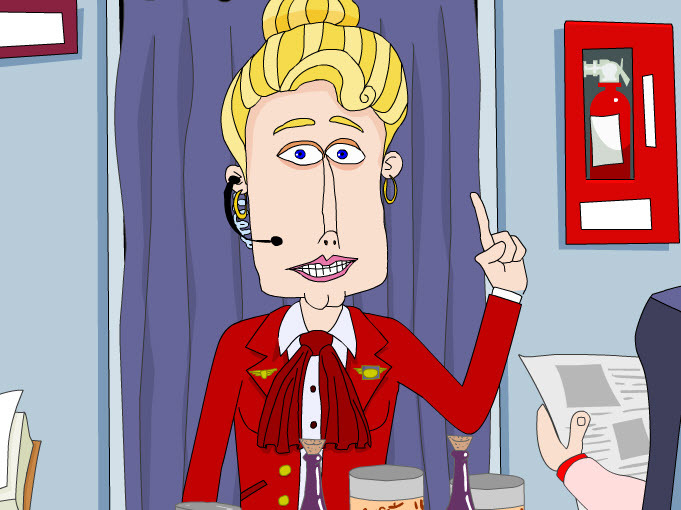 To celebrate Canada Day, the Rubber Chicken Chief has called upon some of the best characters and voice actors in the hen house, including the Flashback Boys, the Flight Attendant, and the Beat Poets. Some of our favorite lines: "Canadians They look like us, but they're not. What can we do to help them, aay?" The answer, my friends, is really to give them a laugh, with one of our stellar Canada Day Ecards, specially constructed and created by Rubber Chicken Cards.com that leave each grateful recipient saying, "O." sign up for a free trial account here, to send unlimited free eCards for 10 days!